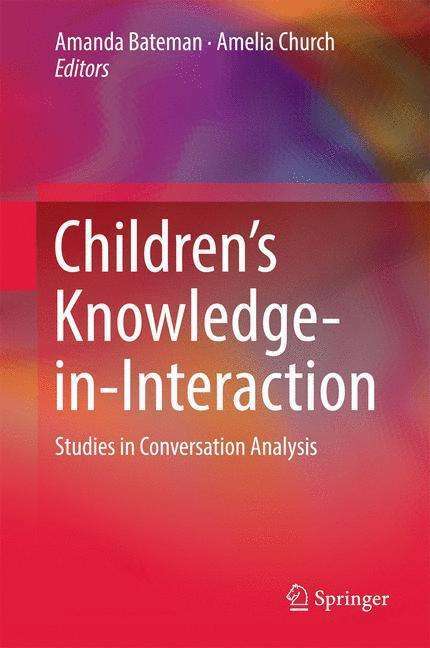 Der Artikel Children's Knowledge-in-interaction wurde in den Warenkorb gelegt. Ihr Warenkorb enthält nun 1 Artikel im Wert von EUR 142,37. Achtung: Artikel ist nicht in deutscher Sprache! 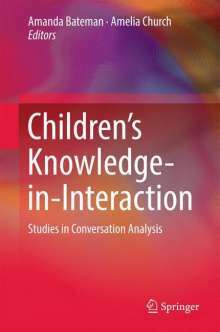 This book is a collected volume that brings together research from authors working in cross-disciplinary academic areas including early childhood, linguistics and education, and draws on the shared interests of the authors, namely understanding children's interactions and the co-production of knowledge in everyday communication. The collection of studies explores children's interactions with teachers, families and peers, showing how knowledge and learning are co-created, constructed and evident in everyday experiences.